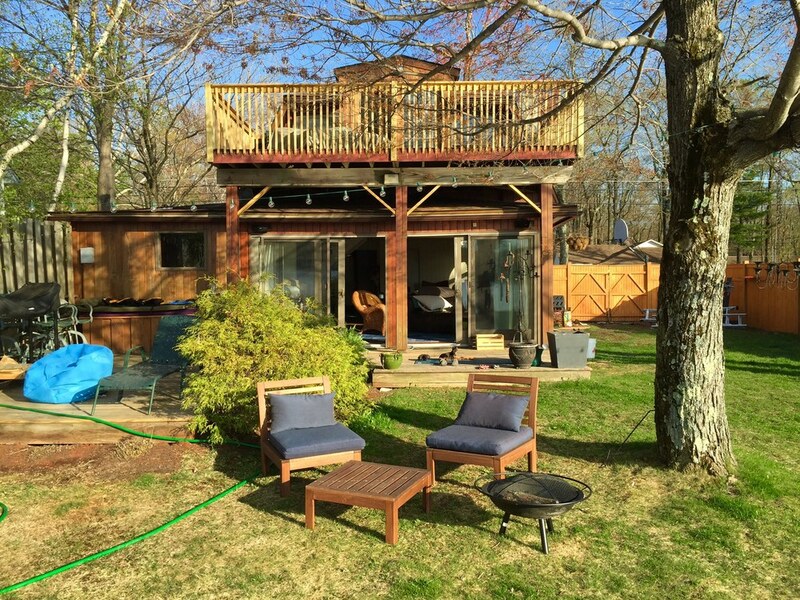 Masten Lake House (Sold): 2 bedroom lakefront, sauna, steam shower. Wurtsboro, NY. $269,000 — Country House Realty: Fine Catskills and Upstate New York real estate, including Sullivan Co. and Ulster Co. 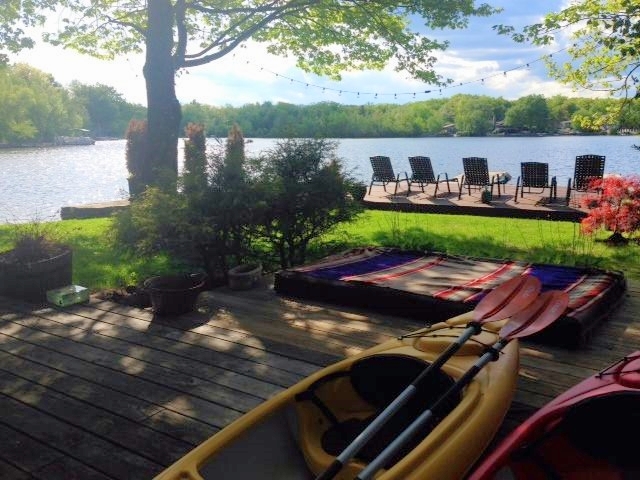 This is an absolutely delightful getaway that offers both lakefront peace and tranquility, and a terrific spot for entertaining. The turnkey house has been paired with land that has been cultivated for maximum enjoyment, including a huge deck and large U-shaped dock. Upon entering, a brief foyer gives way to a well-designed kitchen at right, and the living room with expansive lake view straight ahead. The kitchen has a generous breakfast bar and ample storage, with Fisher & Paykel counter-depth refrigerator. 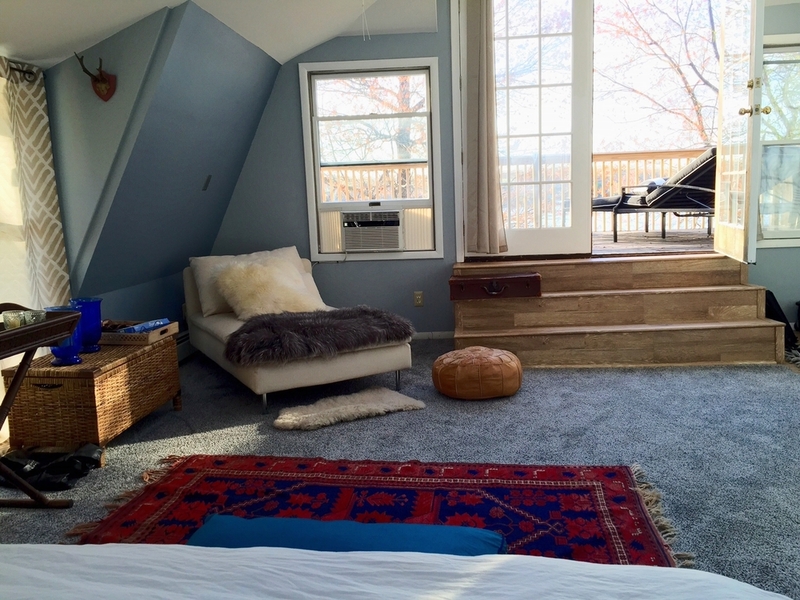 The living room includes a generous lounge area with wood stove, and finishes at the back with a former porch that has now been enveloped into the main house and boasts two eight foot glass sliders and other windows, that provide exciting lake views. Also on the ground floor is a small guest bedroom, and a renovated, wood-paneled full bathroom with new claw foot tub, that provides access to the sauna. The full upstairs is a luxurious master suite, which opens onto a large balcony / deck, shaded by trees. 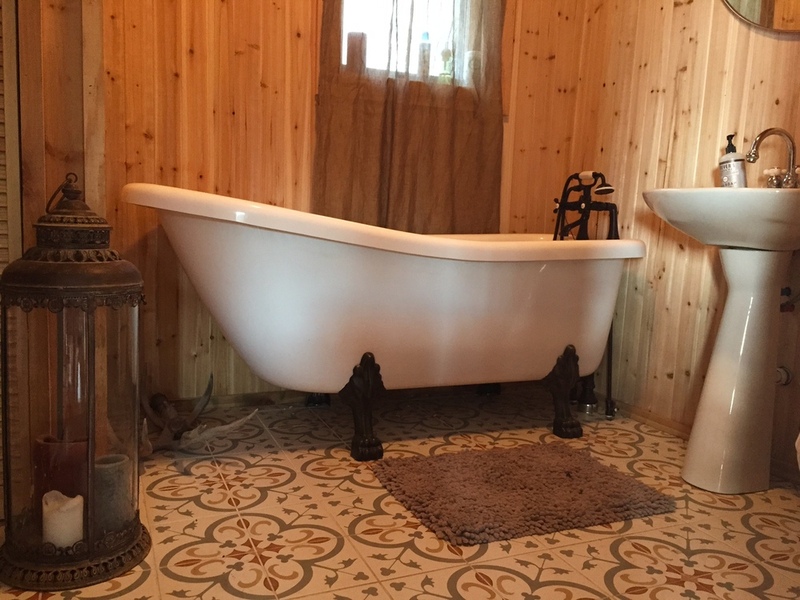 Off the huge bedroom, the master bath has a large tiled shower with built-in seat that doubles as steam shower; a feature this owner relishes. The skylights in the bedroom showcase the star-filled night sky. The outdoor space is fab, with all sorts of nooks and crannies. There is a shaded patio right outside the door, a sunny lawn at the side of the house, and huge sunny deck at water's edge. 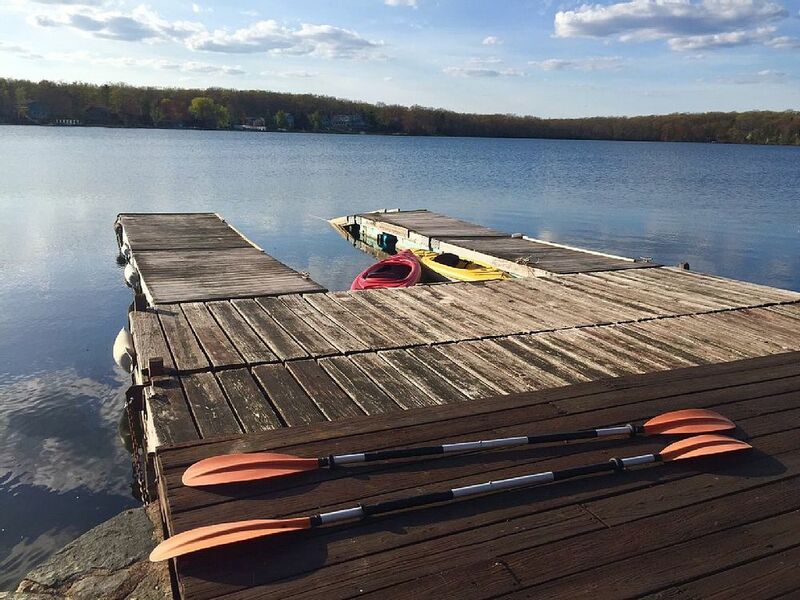 The large U-shaped dock is perfect for tying up canoes and kayaks, or for casting a line. Walk into the clear waters from the sandy strip at the corner of the property.